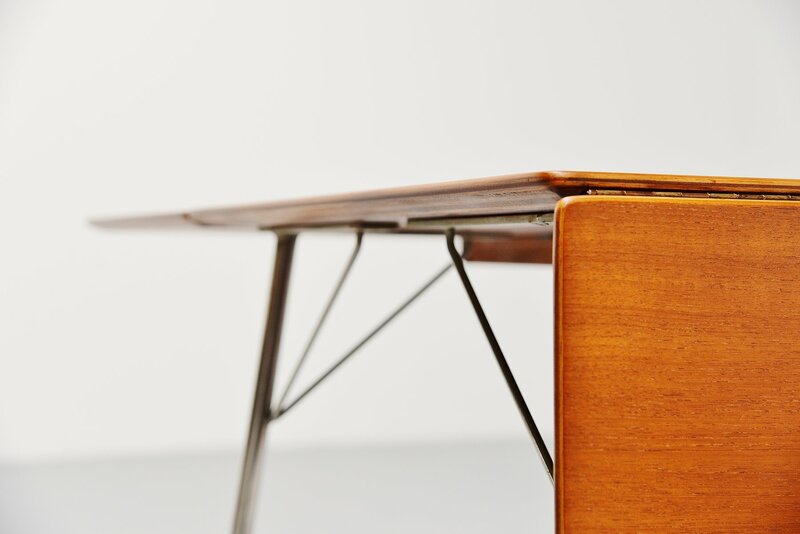 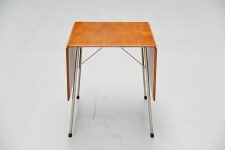 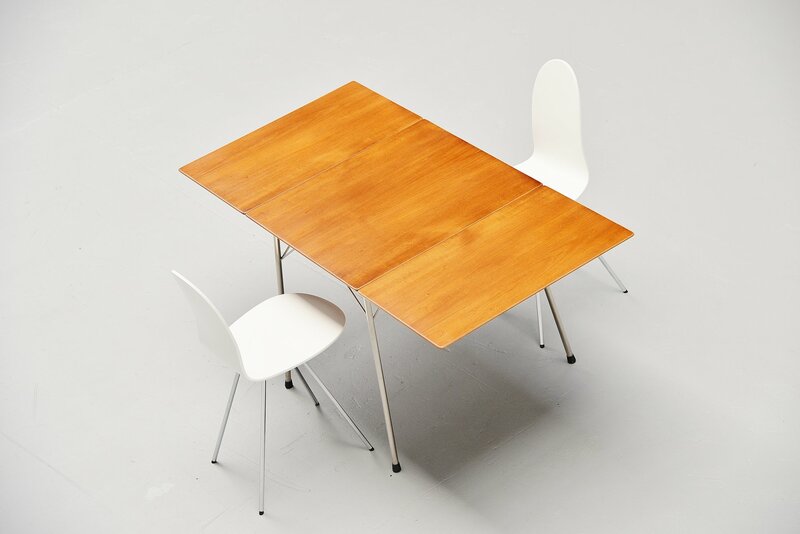 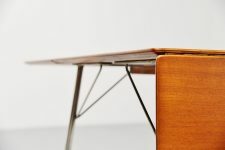 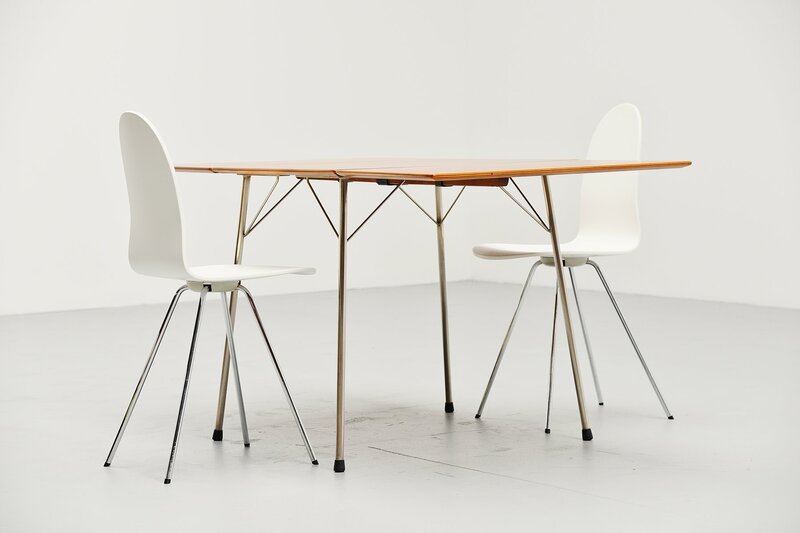 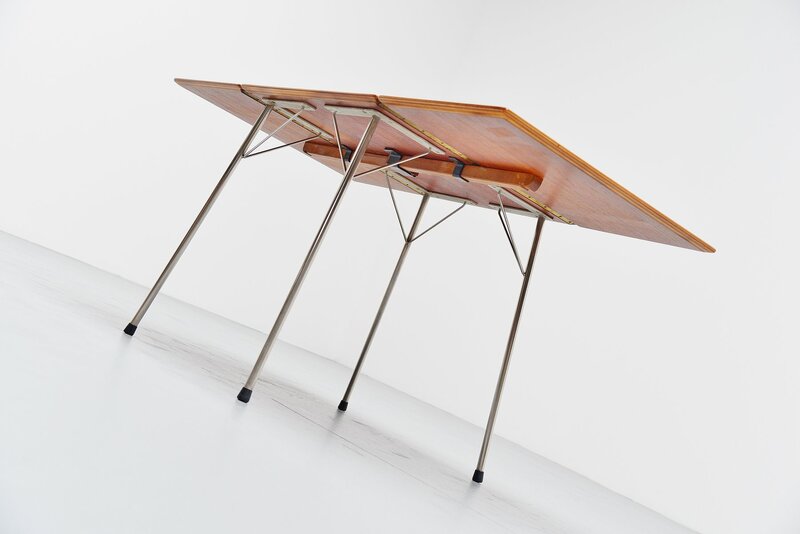 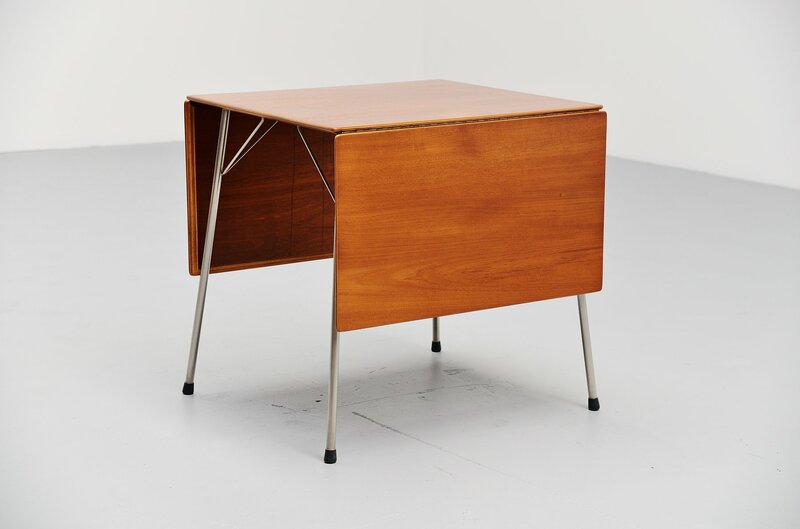 Nice small folding table model 3601 designed by Arne Jacobsen for Fritz Hansen, Denmark 1952. 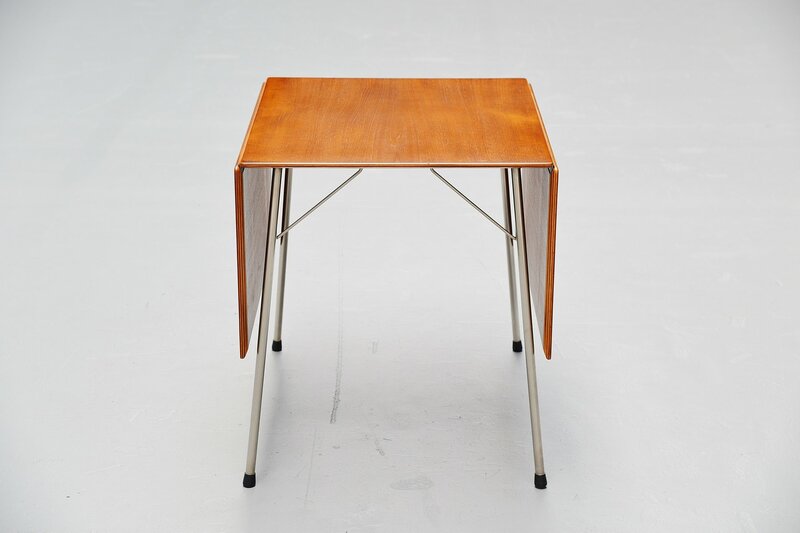 This table has a teak wooden foldable top and chrome plated tubular metal legs. This rare table is very nice sized and easy to fold down/stretch. 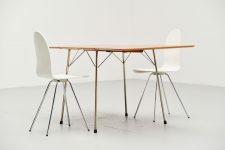 This table can use up to 6 chairs if needed. 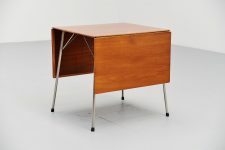 Would look great in a modern home or interior. The top is fully refinished with high quality UV protection lacquer and in excellent condition as you can see on the pictures.